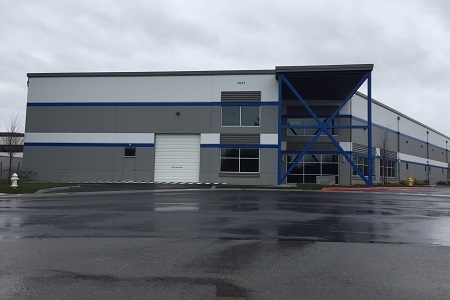 7011 South 182nd Street is a brand new, 42,982 square foot industrial building featuring all the typical state-of-the-art features of new concrete tilt-up construction including 26' clear height; ESFR; 50' by 50' bay spacing; six dock-high loading doors; and 1,200 amps of service. With nearby access to West Valley Highway, the site provides quick access to Seattle Tacoma Airport, Port of Seattle and Port of Tacoma. Construction completed Q1 2018. EverWest acquired the 7011 South 182nd Street site on behalf of an institutional spearate account in September, 2016.